Rainy afternoons at home are always tough with three young children, finding activities for them to do can sometimes be a chore especially when they rarely want to do the same thing at the same time. 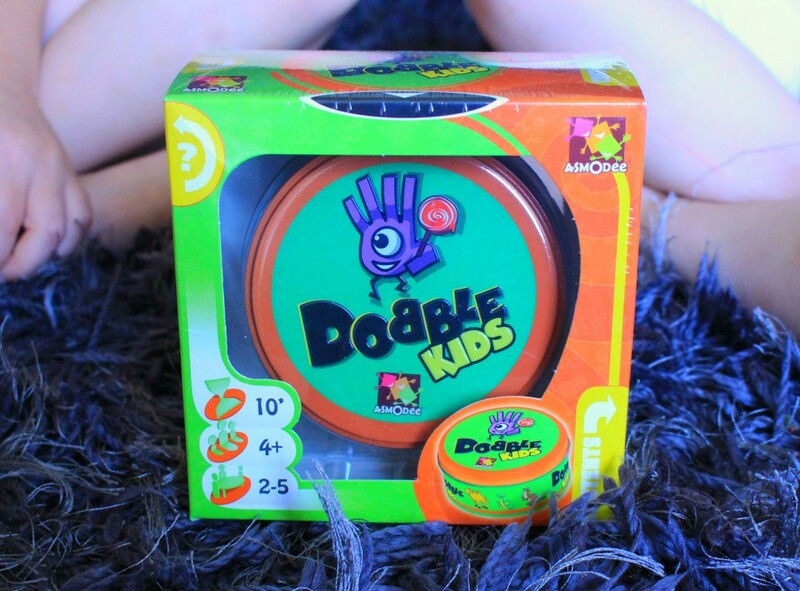 With many a rainy afternoon to fill in recent weeks I jumped at the chance to review a game with the children’s – Dobble kids. 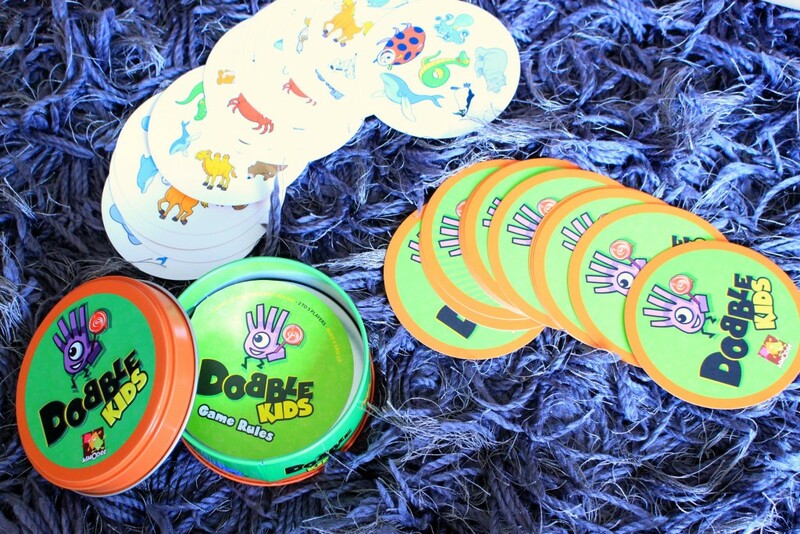 Dobble kids is a simplified version on the game Dobble, both are card games where the aim of the game is to match a picture from one card to another. 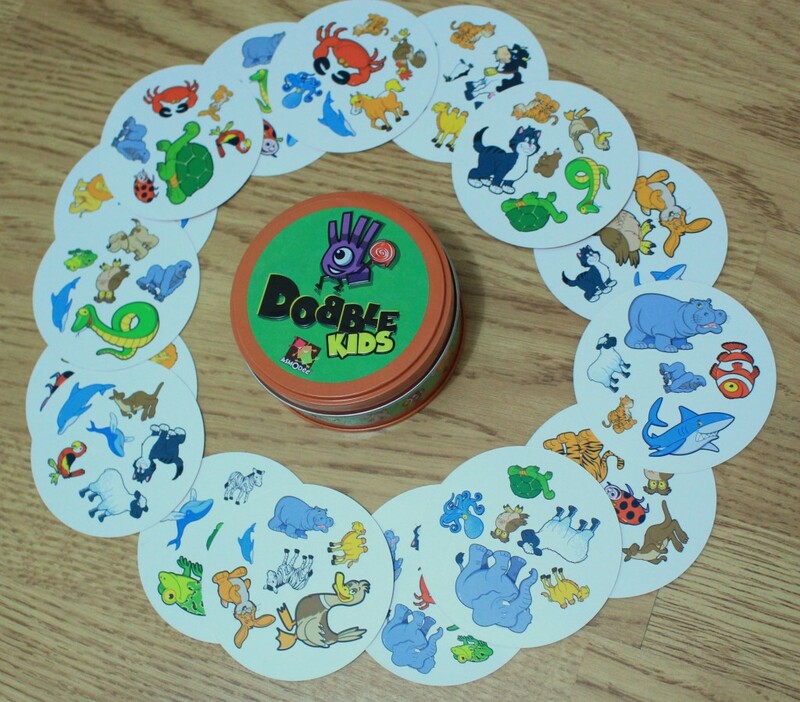 Dobble kids is suitable for children aged 4+ the pictures on the cards of this simplified version are all animals and there are less images on each card as the original version making it perfect for preschoolers. As Bella is only 3 I was a little concerned she might be a little slow off the mark with the game and get frustrated but they both found it really fun and exciting. Each card has 6 animals on, any two cards will have one animal the same although they may differ in size so the game does require a keen eye. The first couple of times we played I heped point out the animals to them but they soon got the hang of it and then it was game on. Their favourite mini game to play was the ‘tower of doom’. We each started with one card and the rest laid face up in the middle, we then had to find the animal which matched the one in the middle, first to do so won the card and so on until no cards were left. The winner was the one with the most cards. 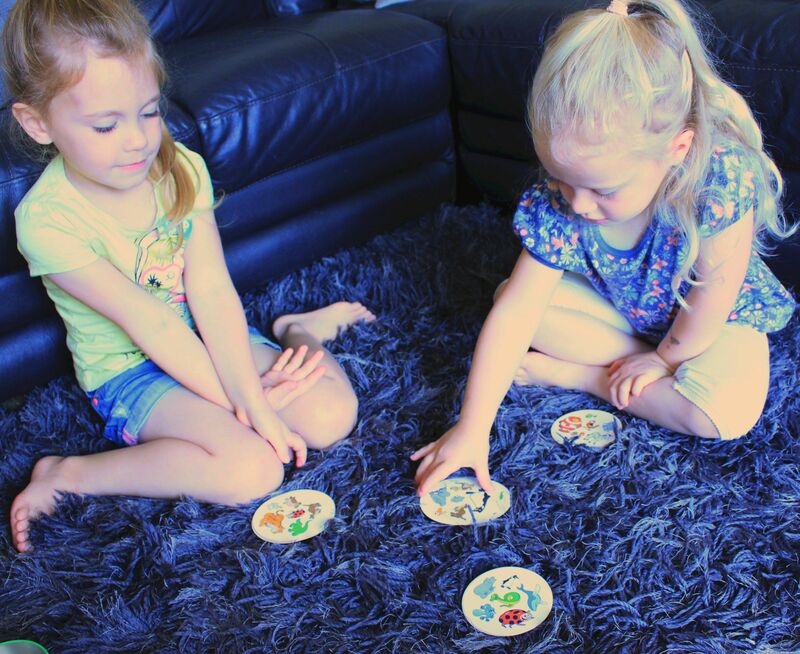 This educational game helps the children with observation, concentration, recognising animals and there names and also counting the cards up at the end but because they are doing it in a fun and different way they don’t even notice they are actually learning at the same time. 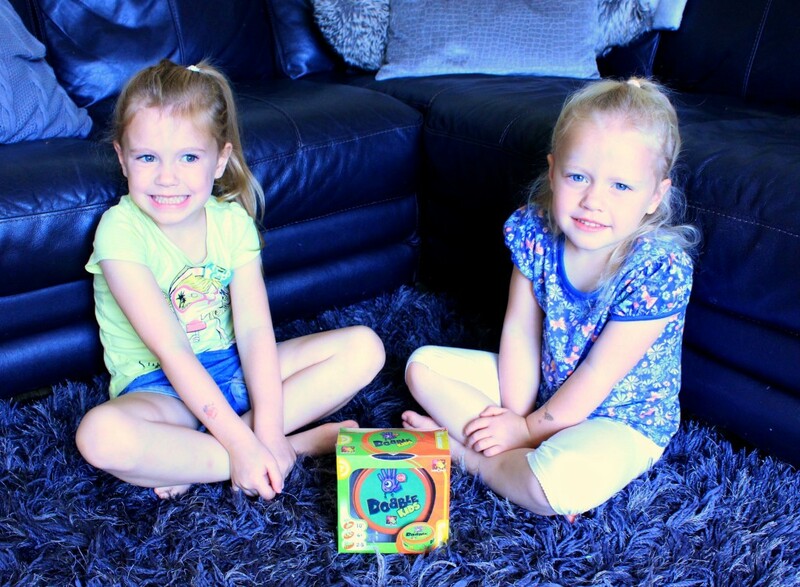 I would really recommend Dobble kids for preschoolers it’s simple enough for them to understand but will still keep them engaged and get their little brains ticking over. Dobble kids is available on the high street from Waterstones at an RRP of £12.99. 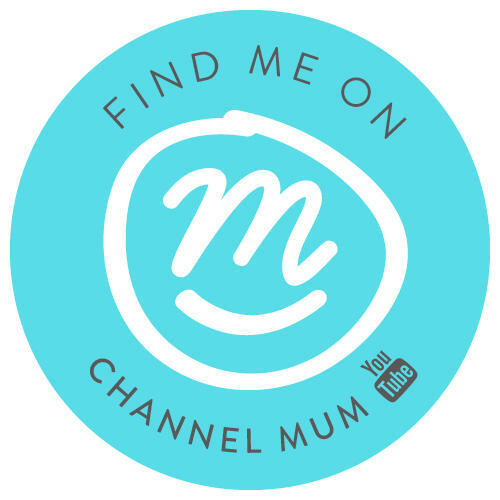 I also have one to give away so if you would like to try the game out with your little ones enter via the gleam widget below. UK residents only. Competition will end midnight Saturday 12th September one winner will then be selected at random. Competition featured on loquax & the prize finder. 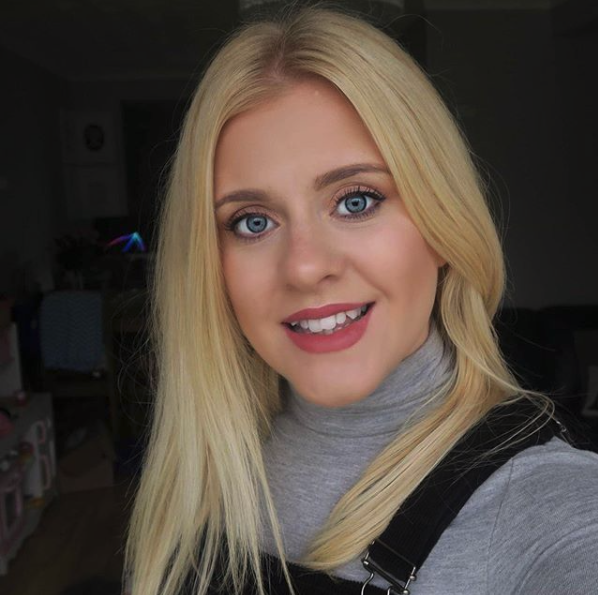 Louise Fairweather recently posted…Sponsored Video: What Do You Crave? The original frustration game, the new one isnt the same! Mousetrap still is an absolute delight!! We all enjoy old-fashioned snakes and ladders. Anything quiet and educational – colouring books are good. 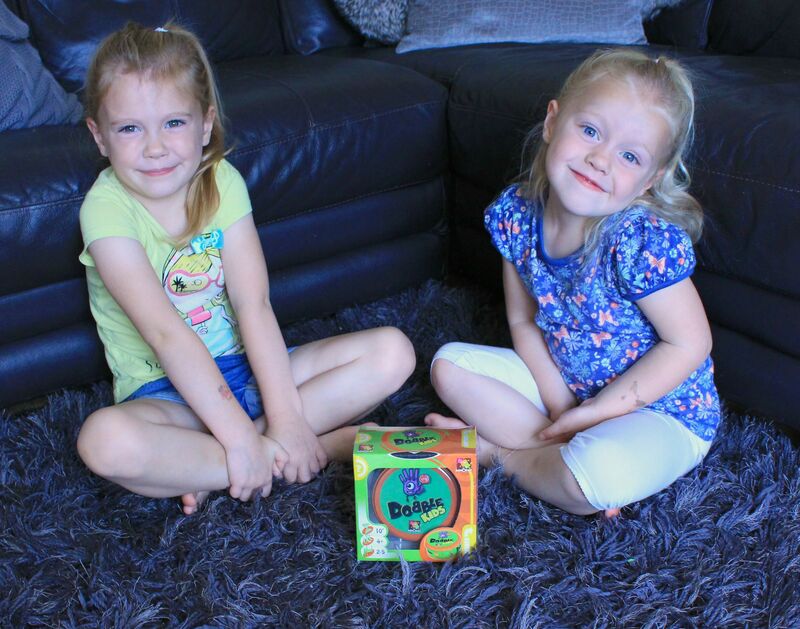 At the moment we love playing Elefun and Hungry Hippos! ALL TYPES OF CARD GAMES. My kids just love this game.